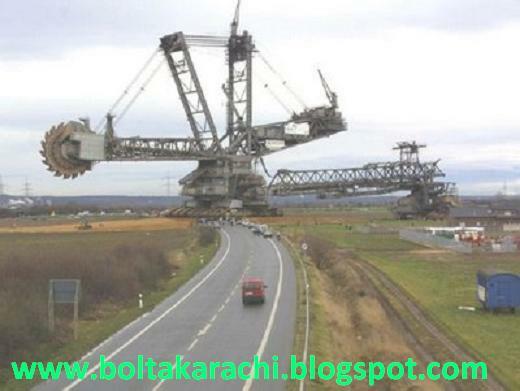 Built by the German company, Krupp. 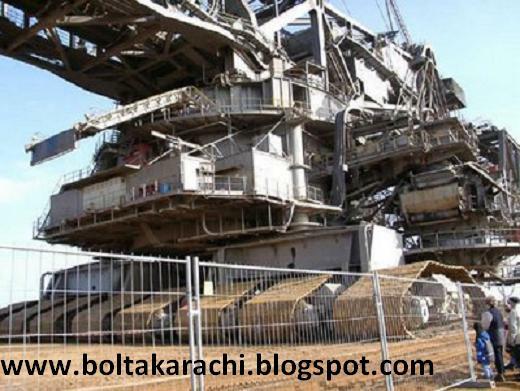 It is cheaper to build it so it's self-maneuvering, than to construct or reassemble onsite. 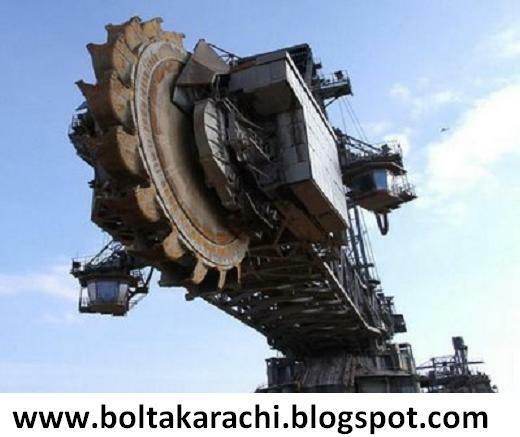 ~ The mover stands 311 feet tall and 705 feet long. ~ 5 years to assemble. 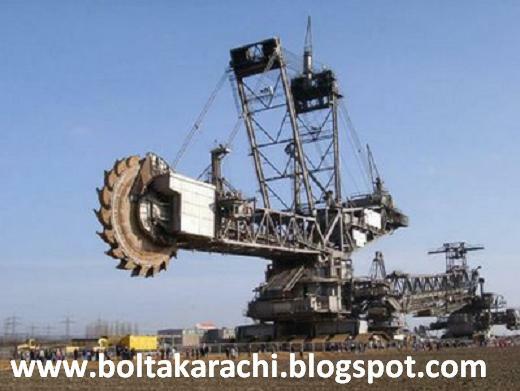 ~ Requires 5 people to operate it. 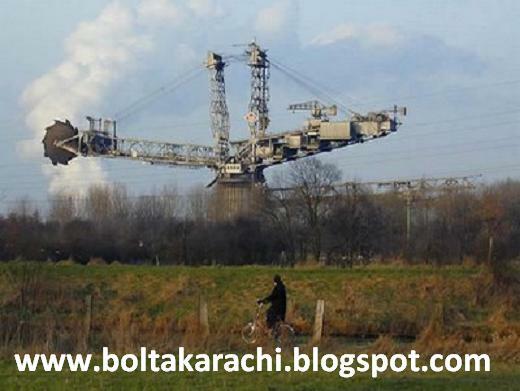 ~ The Bucket Wheel is over 70 feet in diameter with 20 buckets,each of which can hold over 530 cubic feet of material. ~ A 6-foot man can stand up inside one of the buckets. ~ It moves on 12 crawlers (each is 12 feet wide, 8' high and 46 feet long).There are 8 crawlers in front and 4 in back. It has a maximum speed of 1 mile in 3 hours (1/3 mile/hour).